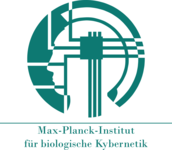 The Max Planck Institute for Biological Cybernetics in Tübingen is one of 80 independent research facilities of the Max Planck Society that conduct basic research in the interests of the general public. The institute has 343 employees and is divided into four departments. In the Human Perception, Cognition and Action Department, 70 computer scientists, mathematicians, physicists, biologists, and psychologists utilise computer graphics and Virtual Reality (VR) technology to study the psychophysical and computational aspects of visual and haptic recognition, sensorimotor integration and spatial cognition. The Max Planck Institute for Biological Cybernetics is the project manager and leader of WP1, WP3 and WP8. It will be responsible for management and will primarily focus on understanding the perceptual underpinnings of designing an effective human-machine interface using their knowledge of basic research in the area of human perception and human-machine interaction.